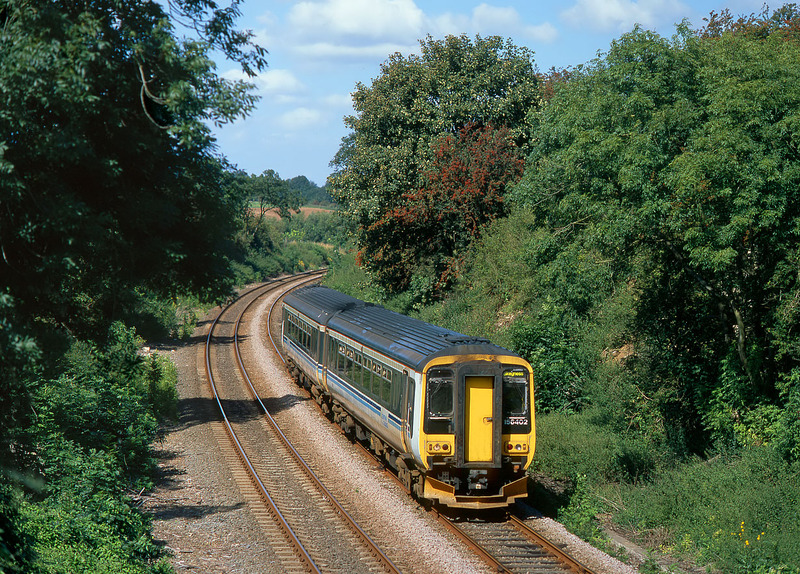 156402 passes Wilsford (between Ancaster and Sleaford) with the 11:25 Grantham to Skegness Central Trains service on 1 September 2002. Interestingly, the Great Northern Railway never provided a station at Wilsford, despite the railway skirting the edge of the village. A signal box was provided at the level crossing with the main road, a short distance to the east of this location.